Here in Peterlee and Spennymoor you will be provided with the highest quality and freshest meat, sourced from our local farms which will be prepared and presented at your event to the uppermost standard. We aim to achieve the best results possible from your special day with highly trained chefs and we have a strong belief that good food should always be partnered with excellent service and our customers will receive nothing less. What we offer is a problem free smooth flowing day provided by staff with expertise in catering events and planning, leaving you to sit back and enjoy your day with guests. We hope to leave a smile on both yours and your guests faces after you have received what will be an assured memorable experience. 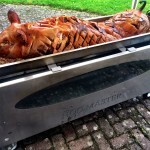 If you up for a challenge or a budding chef it is also possible to hire a spit roast machine for a very reasonable cost which allows you, with easy to follow instructions, to impress your guests with your new found culinary skills and you will most defiantly be putting on a performance to remember. The hog roast is sure to be the centre piece at any celebration or function. They are a great way of adding culture and history to any event and they are becoming increasingly popular for; weddings, parties, corporate events, bonfire night and Christmas. Whatever your needs we will assist you all along the way, listening to your thoughts and ideas and helping you to put them into action to create the best outcome for your event. 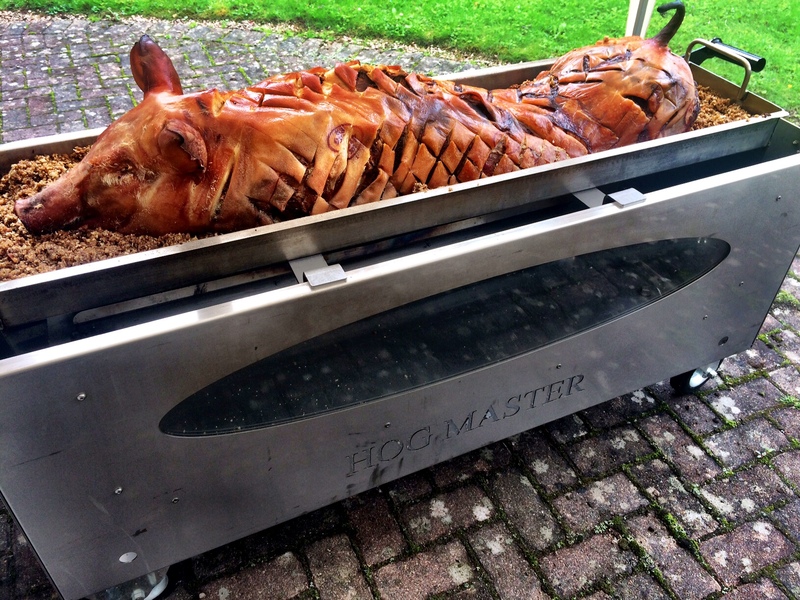 If you are looking for a way to make your event stand out from the crowd or to gain the wow factor from guests, hog roasting is definitely a first-class way to go about it. All the troublesome tasks can be taken on by our team to spare you the hassle and put you in a good position to enjoy the day yourself. Last minute alterations can be accommodated by our team, too. So if you have any last minute changes of heart about any assets of our catering please let us know, we’re very flexible. All guests will be served our tasty food in a professional, friendly and timely manner, and once the hog roasting finishes we’ll discretely clean up the site and quietly leave without you so much as noticing we’ve up and left. You can be confident that our exit won’t be a distraction to your guests. You’re really missing out on something special if you’ve yet to experience hog roasting, more so if you haven’t experienced our service specifically. As well as catering for any and all events we also have a machine hire service and sell our state of the art machines too. 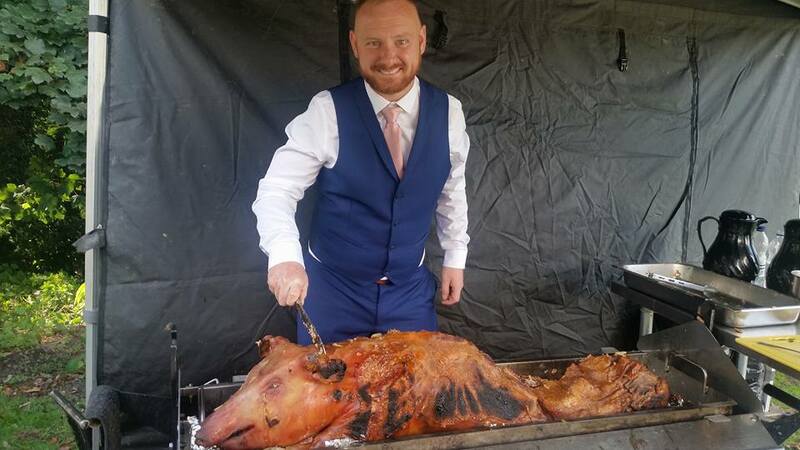 Our machine hire could well be the perfect choice for you if you’re throwing a more informal event or if you’d rather cook and serve your own hog roast without us getting in the way. Our machines are shipped all over the world and the ever expanding client base we have is testament to their outstanding quality. The spit roast machines are extremely easy to use and you don’t need much in the way of elite cooking skills to get the best from them. A pig will also be provided if desired or we can help you finding good local butchers for your meats. All of our hog roasting machines are provided with a free bottle of gas and we’ll both deliver and pick up the machines after use, to save you the trouble. When delivered you’ll also receive instructions, help preparing the pig and an opportunity to ask any questions you might have about our machines or spit roasting. The machine hire service is very good value, especially if you’re looking to hire for long periods of time, ideal if you run a pub or your own catering business. Every single one of our machines can come with our custom attachments if pigs aren’t your thing. These accessories will allow you to cook joints of meats and whole chickens or turkeys. Worry not if your event is indoors — our machines are built for both outdoor and indoor use too. Better yet, why not buy a hog roast machine from us? The machines as mentioned are of excellent quality and you need not worry about reliability as our whole range of machines come with a 12 month warranty included. Believing a sale of one of our machines is only the beginning of our relationship, you can sleep easy knowing we’d always be a phone call away if you happened to ran into any issues, and are more than happy to come out and help you if needed. 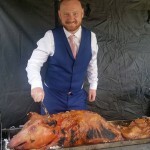 If you’d like any more information on our vast number of services, hog roast machines hire and menu’s, please have a good browse around the website. We look forward to hearing from and working with you.